Tokyo police have arrested a 21-year-old man for driving into pedestrians on a crowded street on New Year’s Day, injuring eight people. 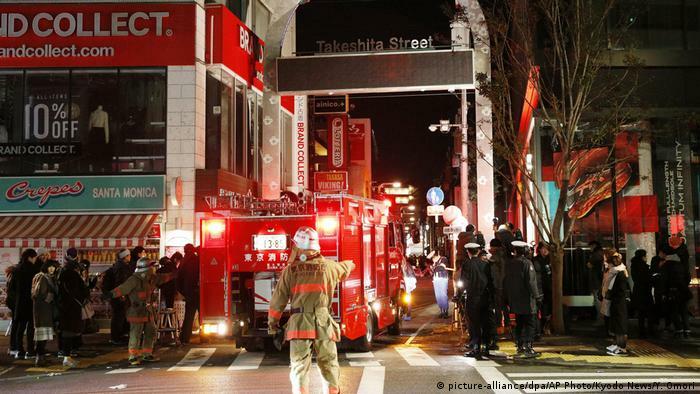 The incident occurred at 10 minutes past midnight on Takeshita Street in Shibuya Ward, a popular shopping street for young people. The man plowed into the pedestrians as he drove in the wrong direction along the street. The victims are aged between their teens and their 50s. One male university student is in a critical condition. The driver was identified as Kazuhiro Kusakabe. He fled the scene but police later arrested him on suspicion of attempted murder of the student. Investigators say the man initially told them he had conducted a terrorist act. They say he later admitted to the attempted murder charge. He then claimed his action was an attack on the system of capital punishment. The street was closed to vehicular traffic at the time. It was bustling with people headed to a major shrine to pray for good luck in 2019.